The crockpot comes out when the schedule gets CRAZY! As I have mentioned before, the crockpot causes the ingredients to give up far more liquid than when cooked over the stovetop, so I adapted my Meat Sauce recipe ( https://locarbjabberwockey.wordpress.com/2013/02/03/what-low-carb-spaghetti/) , and it turned out awesome. Prep the night before, store in fridge, and just plug it in before you leave for work . When you walk in the door, you’ll be greeted with the fabulous smell, and just need to prep noodles for the fam and veggies for yourself. 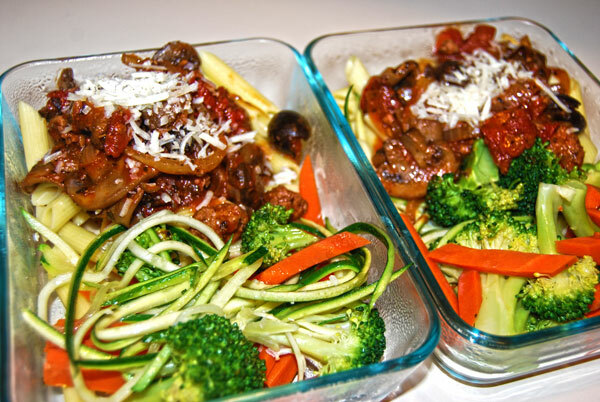 If you are a truly sneaky parent, you can hide a bit of sauteed/julienned zucchini ontop of the noodles, and smother it in sauce. I don’t think my kid actually noticed. Prep: Drain olives, and break them up by squeezing them (or you can buy pre sliced). 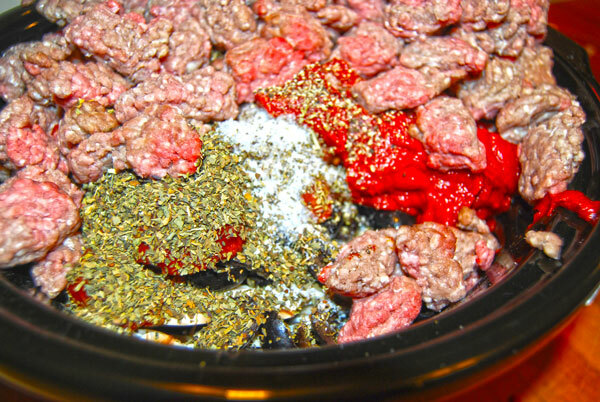 Take small little chunks of the beef and squeeze into bite sized pieces. This will help hold them together during cooking. 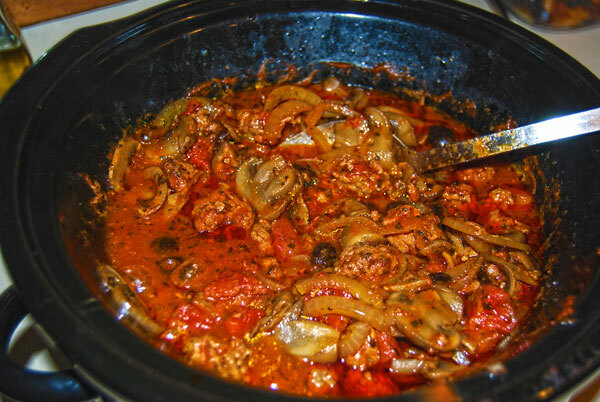 Layer onions, mushrooms, tomatoes, tomato paste, olives, meat, and seasonings into the slow cooker. Cook on low for 8 hours or high for four. Give the sauce a good stir and let bubble for a couple more minutes before serving (just enough time to prep veggies and noodles). 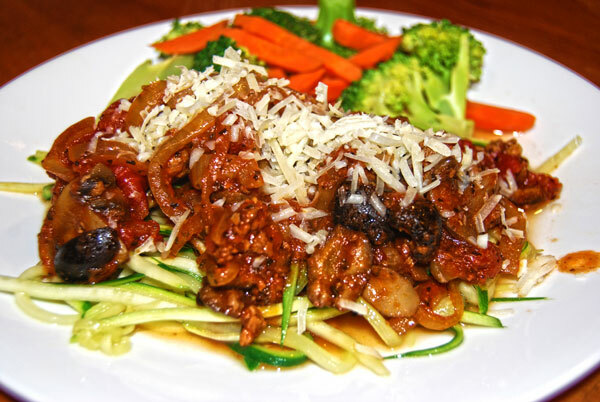 Serve over noodles for the family, julienned sauteed zuchinni, or spaghetti squash for the low carb’ers. Leftovers pack very nicely for the kid’s lunches, and can be frozen. Thanks Peri ! I just love walking in the door to the aromas of deliciousness after a long day at the office !